Description: 2 vol. in-f�, -278- 112- 70- 132 ff. 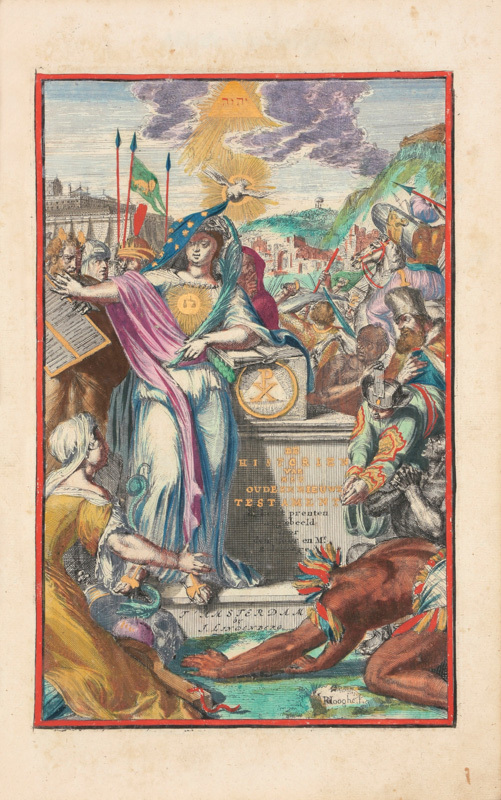 Engraved title (Fr. Brun after C. de Pas), hand coloured and gold heightened. 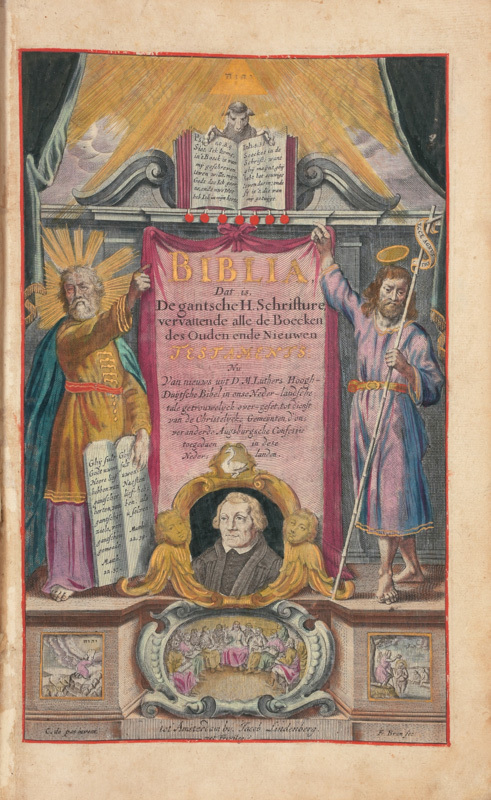 Incorporates as usual: Romeyn DE HOOGHE en Henricus VOS: Alle de voornaamste historien des Ouden en Nieuwen Testaments. Verbeeld in uytstekkende konst-platen. Amsterdam, J. Lindenberg, 1703. + 69 ff. 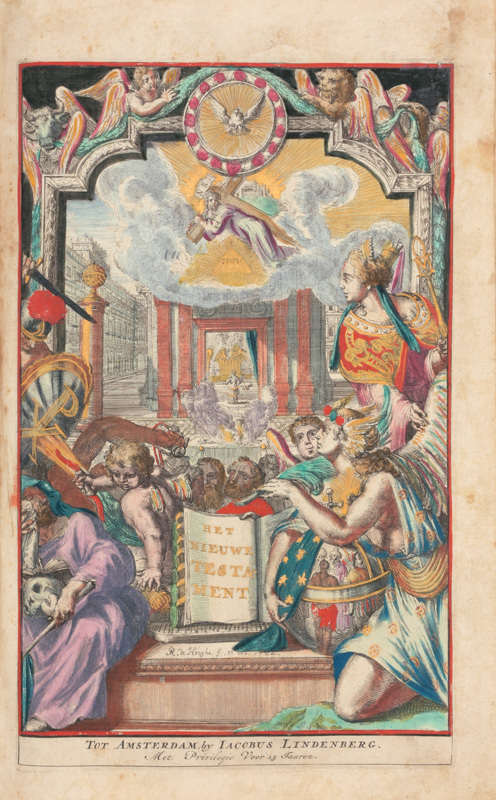 A masterpiece of Romeyn De Hooghe's Bible illustration. Engr. 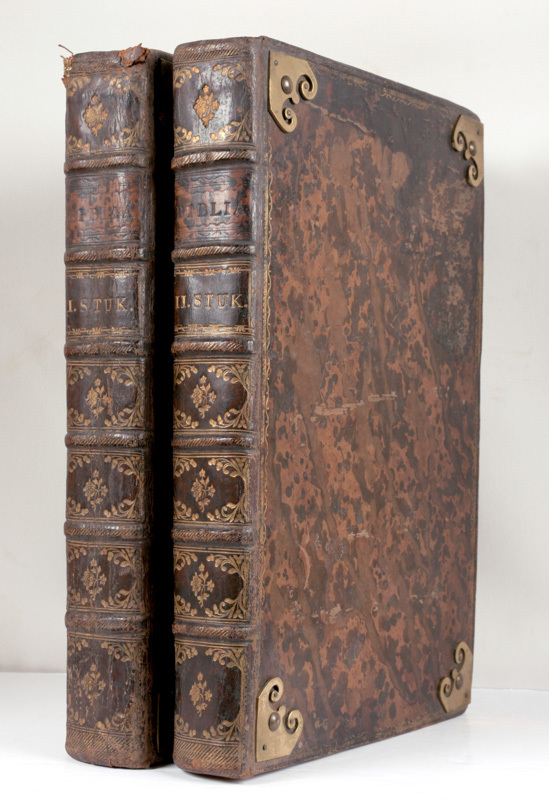 ills, mostly by R. De Hooghe : 2 frontispieces (contemp. hand coloured and gold heightened, the second one mounted), title-vign., 138 half-page ills., 4 (of 5) double-paged maps (Old World, Palestine and neighbouring countries, Jerusalem, the Travels of Christ and his disciples) Lacking the last map of the N.T. (with the Travels of Paul). Marginal tear in plate between ff 64/65 (with stains of scotch). Some marginal wormholes, a few lvs. loosening.